Identity theft used to be a relatively rare crime that few worried about. The combination of the advent of social networks containing rich databases of publicly available personal information and the scale of economy provided by fast computing horsepower and blazing Internet speeds has created the conditions for a very lucrative market regularly exploited by cybercriminals. These criminals employ data gleaned through these channels to apply creative social engineering tactics via email, phone, and social networks to steal identities, access financial and media accounts and gain access to other assets. Your assets. What are some of the basic things that I can do to prevent identity theft? While there are some very sophisticated identity thieves, tactics, and scams, knowing some basic safeguards can be very effective in preventing their success. Validating information over the phone to an unknown caller increases the likelihood the next phone call will be more authentic and harder for you to detect as a scam. Sophisticated criminals share information. Does the email address match the real sender’s address? Are they making an odd or high-pressure request? Were you expecting an email from a Nigerian prince with an attachment or link asking for your help? No? Then don’t open the attachment or click the link. 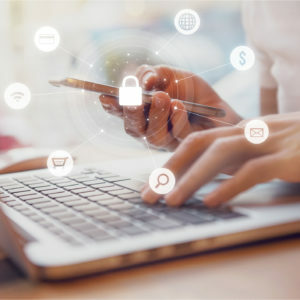 With some basic knowledge to identify the tools and tactics cybercriminals use to obtain your personal information, you can safeguard your identity and make the criminal’s job much more difficult.